The next time someone doesn’t give poor Chris Paul his due, you remind them that good ol Jerry West didn’t win until he was 33 years old, and in his 12th season. Seriously, can you imagine how cruel social media would’ve been to poor Mr. Logo today? Then again, the only loser to ever win the Finals MVP, would likely have some praise thrown his way. On nine occasions Jerry West was top six in the MVP voting, he went 1-8 in the Finals. He wasn’t great on the percentages, but let’s not forget making it to nine NBA Finals is no small feat. West finished his career 23rd all time in scoring and sits 27th all time in assists. In addition to his scoring title, he also led the league in assists in 1972. 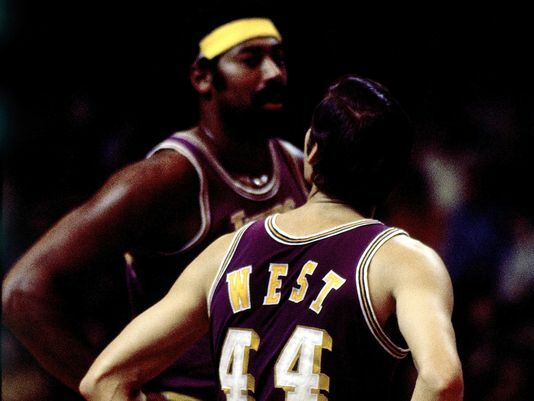 Coincidentally, the 1972 season was also the year West and the Lakers got over the hump winning a Championship. How many players left the game with more brand value than the logo? The Flag Bearer: Jacob Noble and Justin Termine (10). The Barn Burner: Marc Griffin (23). How did the other guys rank West: Adi Joseph (11), James Holas (11), Lang Greene (11), Will Reeve (12), Justin Rowan (13), Justin Salkin (13), Josh Eberley (14), Matt Drappel (14), Robert Littal (14), Shane Young (14), and Brian Geltzeiler (15).